Now, if you are planning to change from a Windows phone to iPhone, it is a big step. 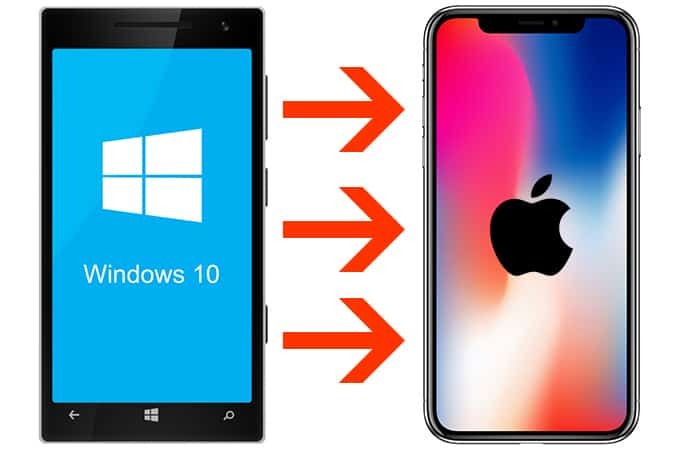 Unlike the Android smartphones, Windows phone doesn’t have an app that helps them transition from Windows phone to iPhone seamlessly. So in order to move data like contacts, email, calendars, messages, apps, media and more, we rely on cloud services. So to make it easy transferring between Windows phone to iPhone, we use services like OneDrive, DropBox, Outlook and many other iOS apps. We have to begin by downloading iTunes to your system. It acts as an overall platform for your media, phone manager, and to sync data. You will have to use iTunes to backup your data, run troubleshoots and sometimes transfer huge files. Before you start, you need to Download iTunes for Windows PC. Now, you can use your Microsoft account to move your contacts, email, calendars and notes from your Windows phone to iPhone. We suggest before starting the process of transferring data, make a backup. 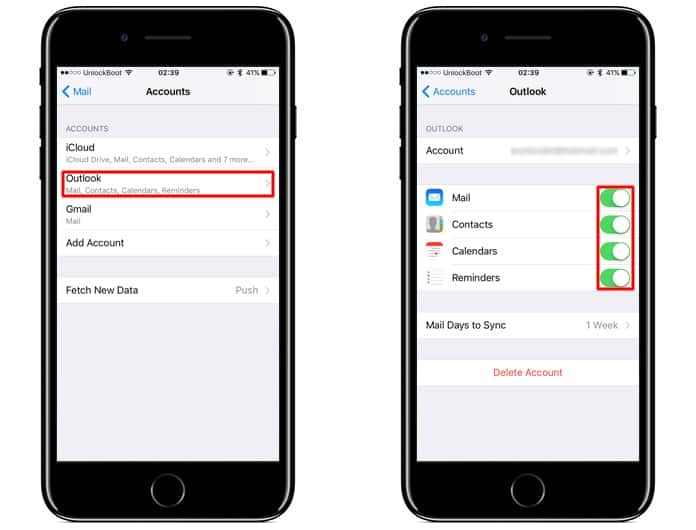 Start by opening the Settings app on your iPhone > select Accounts & Password > select Add account > choose the account that has your email, contacts and calendar > use the instructions as a guide and log in to your account. After your account is added, check to ensure that you have enabled sync for the data you want to move to your iPhone. Tap on the Accounts, only if you’re not logged in to your new account, and go to the Accounts screen > select the new Account > Tap Mail, it will turn syncing on (check the switch, it should be green) > Tap Contacts to turn syncing on > Tap Calendars to turn syncing on > Tap Notes to turn syncing on. 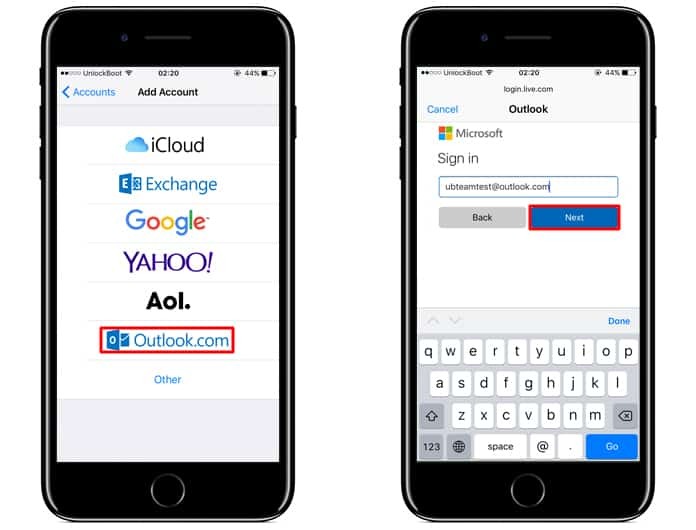 Now, Microsoft account will import all your email, contacts and calendar into their respective native iPhone apps. Also, you’re able to download the Microsoft Outlook app for iPhone, to manage your mail and calendar. The best way to transfer your images and videos from Windows phone to iPhone is to use a cloud service. Now, Windows 10 phone has OneDrive as their cloud service, though there is a chance that you might be using Dropbox. So, if you’re using OneDrive, just make sure you have uploaded all the content to it. Now, download the OneDrive app from the Apple Store and you will have can check all your photos from there. In the case, you’re using Dropbox, do the same for what you did with OneDrive. 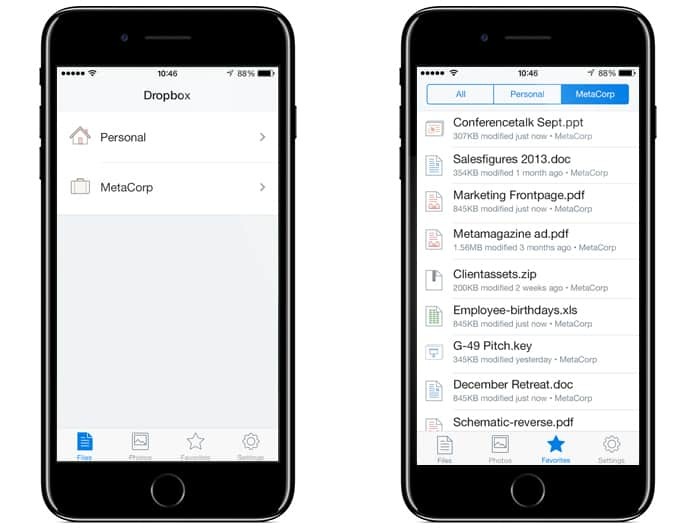 Just download the Dropbox app to your iPhone and you will have access to all your images and videos. The other method is the old school method using your USB-cable to transfer your photos and videos from Windows phone to your system. Then drag and drop the photos to your Photos app (for Mac) or to your Photos folder in PC (ensure the photos folder is set to sync with your iPhone via iTunes). Now, here iTunes plays the most important role when transferring music from your Windows phone to iPhone. Now, if your music is saved on your computer, just launch iTunes import music and then sync it with your iPhone. Let us know in the comments below why you’re switching from your Windows phone to iPhone?